Though we're looking at a 2016 release in the West, Fire Emblem If is all set to arrive in Japan on 25th June, shaking up the standard formula with two separate releases - and a third storyline available as DLC. It'll likely have all of the strategy gameplay we can handle. With the Japanese release so close it's getting plenty of hype, and the new extended video below brings an introduction to plenty of units and gameplay features. For those of us in the West it serves the purpose of building anticipation ahead of its future localisation. Nintendo's Japanese YouTube channel additions this week have a few other little treats. One is a stylish advert for the first Splatoon Spatfest in Japan, and there are another two videos for Rhythm Tengoku: The Best Plus; regulars of Nintendo Life will know that we love the videos for the rhythm game. Some good videos out of Japan - are you impressed with what you've seen of Fire Emblem If? Oh the wait for this game...it burns us...it burns! I do hope the SMT X FE game sells well...because I want to play FE with the lovely gamepad! The wiiU is prime for tactics games. That girl at 4:26 looks a lot like Severa...and she even has Cordelia's hair color. Also, I like that feature that apparently allows you to walk around a town and talk to people and build up the town. That sort of calls to mind Fire Emblem Gaiden, although I think there was just that small village to walk around at the beginning. I don't think any other FE games have allowed you free movement. Really excited for this despite the very long wait we face! Surely we could get Fire Emblem this year if it's due out soon in Japan, no excuse for this poor planning Nintendo! @Giygas_95 Yup! 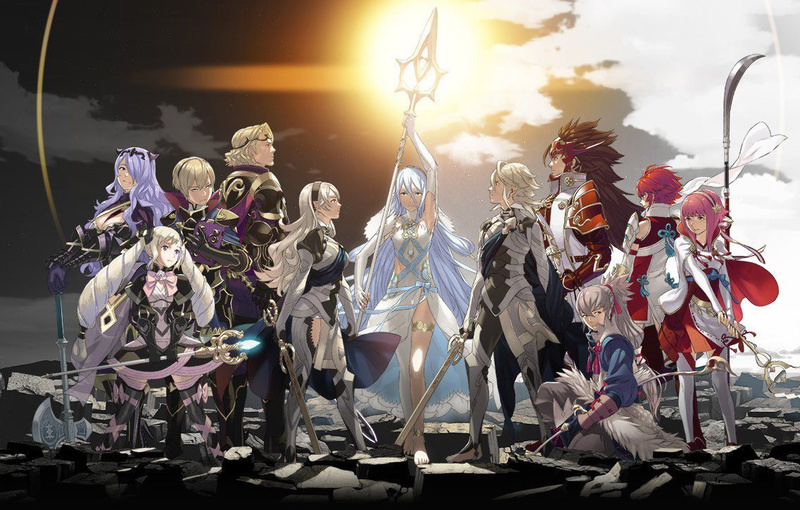 They have confirmed that there are several 'clone' characters in the game to be homages to some of the most popular FE:Awakening characters. So far they've shown Severa, Inigo and Owain. @tealicious Really? I didn't notice Inigo and Owain clones. Were they in that video? I hope before people eat this title up, they ask if it's actually going to deliver on gameplay and story. This coming from a big Intelligent Systems fan. Easily one of my most wanted games. Just saw the Splatoon advert: which game was that? 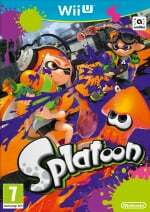 I've been playing Splatoon since the first Test fire and there have never been any night time levels, dance parties, or cool animated cut scenes. Hopefully this is all content which will be released over time. The night time battles with all the neon colours would be awesome, maybe even include some black light effects. @andyg1971 Considering the fact that there are two separate games for this new one, I'm pretty sure that NoA has to figure out how to make this work in the US. Look, having two separate games that is required to get the ultimate ending is just ridiculous. That's like asking for a lot of money. Atleast if the two games are in one and the third being more of DLC, then fine. But if it doesn't happen, then that's a problem. As for the game, looks good and I like some characters but I really like the Nohr kingdom a lot! The battle animations in this game look so quick and fluid compared to Awakening... I REALLY hope this won't be a New 3DS exclusive. @Ibrahim77X No worries, it's not a New 3DS exclusive! The new skill activation attacks look cool. I also like the new overhead to battle transition. Wow, it looks the exact same thing as Awakening. Can't wait to see how many girls are in it that I can fantasize about. Looks great, the details are much better than awakening. The character design still amazing! I NEEEEED MORE FIRE EMBLEEEEM! One of the only Nintendo games worth the hype. Fire Emblem: now with feet! really looking forward to this! My only complain is that they´re showing so much from Hoshido, but there´s no love for Nohr. C'mon Nintendo! Some of us want more info on Nohr! @tealicious Are you sure they're actually clones? Maybe this game takes place only a generation after Awakening with some of the children having immigrated to this game's continent. The wait for this game is becoming unbearable! D: It looks sooo good! Well, I'm still a bit pissed that they got rid of weapon usage, and screwed with the weapon trinity... But other than that I am really looking forward to this game! Is it just me or that old f*ck looks a lot like Andross? @BulbasaurusRex They seem different enough to not be exactly the old children, and they're using the term 'clones' on other websites. They also have different names in FE:If, Severa->Luna, Inigo->Lazward, Owain->Odin. I think they would have the same names if they were the real deal. But hey, there is always room for speculation, so you might be right. I guess we will know when the game releases. Well, I was hoping the critical animations would improve after Awakening, cause the past fire emblem games have been far superior in them (other than the voices). I'm still super hyped, but I hope the characters live up to Awakening, unlike Sacred Stones in comparison to Blazing Sword. @outburst To put it on Wii U they would have to remake a lot of assets - those gamecube polys are pretty jagged. It would be easier to port it down rather than boost a bunch of graphics. I don't see them putting the work in to make it like HD and stuff.